Practice your race day routine to alleviate some of your anxiety towards participation in the race. Short rest periods to hydrate and consume “energy” foods during the race at the rest stations will not necessarily cost you extra time to finish the race. Use the RICE (Rest,Ice,Compression,Elevation) principle if you develop pain or to prevent a minor injury from getting worse. You have trained well. DON’T allow your anxiety to force you to run too many miles during the final two weeks of your training sessions. Stick to the plan! Seek the advice of a Physical Therapist if you have developed pain during your training sessions. 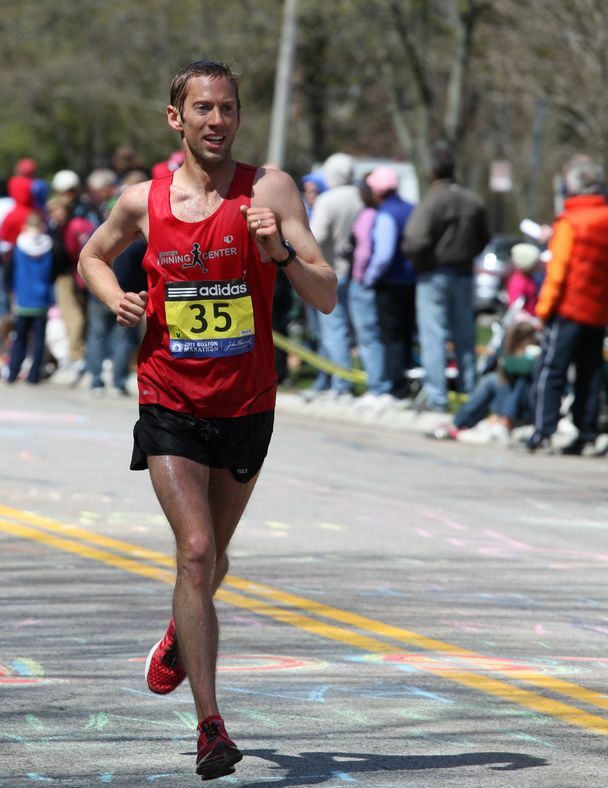 Marathon tapering is the final training phase of preparation before your big race. An effective marathon-tapering phase is critical to your success. You decided to run a marathon and have trained long and hard for the upcoming race. You don’t want to ruin your chances of finishing it by training improperly in the last days leading up to the race. Whether you are running your first marathon or if you are veteran of many races, you know that the endurance race requires months of preparation. After months of disciplined and dedicated training, you want to finish your regimen strongly. During the last 2 weeks of training known as tapering, you’ll need to pay careful attention to five key areas: running schedule, diet, hydration, rest and mental preparation. You should begin to taper your distance two weekends before the race. Your last “long” run will be 10-12 miles and then every run following that day will be no longer than 5-6 miles. Don’t allow your anxiety towards the race to get the best of you and run too far near the end of your training cycle. Taking a couple of days off will be good for your body. The muscles, joints and your mind need time to rejuvenate following a grueling preparation period. Remember, the last two weeks prior to your marathon race is not the time to “train” for the race. If you have followed the standard 16-18 week training regimen that is proposed by almost every running magazine, coach or group you have run plenty of mileage and are ready for the race. The final two weeks of training are a time to allow the body and mind to prepare for the race. Your body needs to stay “tuned,” but you don’t have to continue to develop endurance, speed or power. If you have not been faithful to the standard regimen you are probably not going to be able to finish the race and the last two weeks are not the time to “make-up” for lost training sessions. If you have incorporated cross training and strength training into your regular marathon preparation routine, continue to perform those activities. You might want to reduce the volume of training with those activities, also. It is not advisable to begin new training techniques at this time, therefore if you have not been performing them don’t start now! This is not the time to begin new running techniques. You should have a good pair of shoes that have been worn during the last month of your training. It is not advisable to add orthotics to your shoes or buy new shoes at this time unless you absolutely have to. Any change in running technique (orthotics will change the way the lower extremity responds and moves during the running cycle) can have a drastic effect on your ability to finish the race and possibly injure yourself in the process. Proper nutrition is needed throughout the training period. Your body will require an extraordinary amount of “fuel” to be able to complete the race. You will need to “carbo-load” prior to the race to ensure that the glucose and glycogen stores are at the maximum. Pasta dishes are great, but be sure they are not overly seasoned or salty. Be sure to eat a light breakfast (i.e. toast, non-acidic fruit, non-sweetened cereals) the day of the race. You should plan to eat at the rest stations throughout the race. “Power or energy” bars and gels are a great resource to utilize during the race. 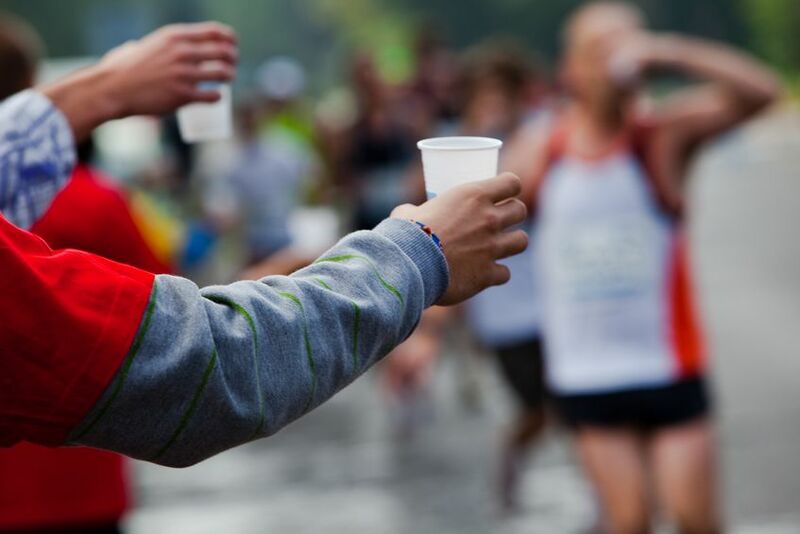 Staying hydrated during the race begins well before you start running on race day. It is recommended that the average person should consume 8- 8 oz. glasses of fluid per day. If you are training you need to consume more. If the temperature and humidity are high you have to adjust your intake to account for the additional loss of fluid in this type of environment. Sports drinks are recommended to help replenish everything that we “sweat-out” (electrolytes) during our training sessions. Avoid sugary drinks. Drinking anything that is high in sugar content will make it more difficult for the body to absorb it from the gut. During the training sessions you need to “practice” consuming water. You will learn how much you have to consume and if you can do it while you are running. It is not a crime to stop for a short duration to hydrate yourself! Getting plenty of rest is important throughout the training period, but the last two weeks are extremely important. You body has been put through a lot of grueling workouts and possibly run more mileage than you have ever run in the past. It is recommended that everyone should try to get 8 hours of sleep per night at a minimum. Your body might need more than 8 hours during the training period. Don’t change your sleep patterns before the race. You want to wake up on race day and feel refreshed and eager to run. It will be a good idea to go through your race day preparation process several times prior to the actual date. You can rise in the morning and eat your pre-race breakfast and get into your race clothing and perform a training run in simulation to the actual race. This will make your pre-race activities more routine. Your mental preparation is critical because your anxiety level will be extremely high. You need to be comfortable with your race day routine and confident that you have trained well enough to complete the race and achieve your goals. Note: During the course of training, a few minor aches and pains are normal. If you experience sharp painful areas, then consult a Physical Therapist or doctor. You should continue to train and cross train at a reduced volume. This continues to enhance blood flow through out the body and keeps your mind mentally prepared for the upcoming race. The reduced training volume will not cause any damage to the soft tissues or joints of your body. Marathons are grueling races. During the run, your body will be pushed to the maximum physiological limits. You have prepared for many months and taking the proper approach to the conclusion of the training period will give you the best opportunity to achieve your goals.